Zerona is a Low Level (cold) laser device manufactured in the US by Erchonia. It is designed for body sculpting by removing the fat from the fat cells by creating a photochemical reaction. It is FDA cleared for that purpose. It is non-invasive, and unlike other procedures it does not destroy the fat cells, it just drains them. There is no down time involved in this body sculpting treatment in Tarzana, and the patients can continue their daily activities. On the cellular level, The Zerona laser stimulation emulsifies (liquefies) the fat inside the fat cell, which then seeps out through a pore (opening) that is formed in the cell membrane, and out to the interstitial space (between the cells). The "empty" fat cells then collapse and reduce in size. 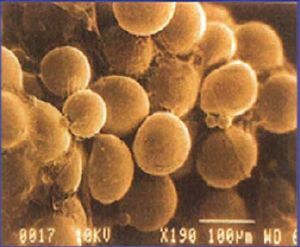 Scanning electron microscopy photograph of normal adipocytes (fat cells)(x190). Note the round shape. The contours are regular grape-cluster shape. 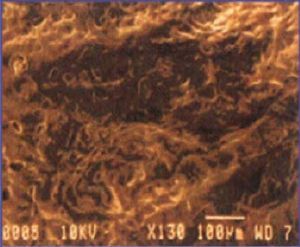 Scanning electron microscopy photograph after 4 minutes application of low level laser. 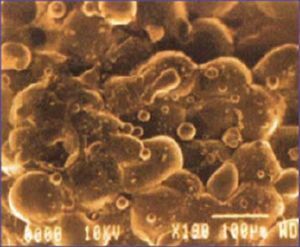 A few adipocytes (fat cells) have liquefied and there is preservation of some cell membranes, some of which have lost their original shape. Note star or oval shape. Scanning electron microscopy photograph after 6 minutes application of low level laser. No round adipocytes (fat cells) are seen, only liquefied fat. Fat is seen coming out of the adipocytes(fat cells). 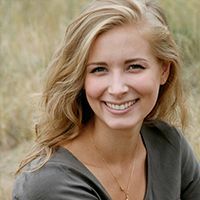 Once the fat is out of the cell and in the interstitial space it is naturally processed by the body through the lymphatic system, and subsequently excreted. Note : helping this weight loss process by exercising, drinking plenty of water, and taking certain supplements will enhance and help maintain the results. This Body Contouring procedure involves six treatments over a period of two weeks (no more than 48 hours apart!! very important!!) are required. 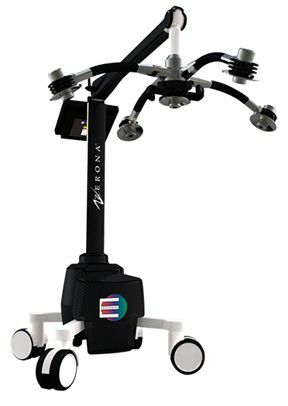 The patient is given protective eye wear and relaxes comfortably while the Zerona laser output heads emit low level (cold) laser at the problem areas. Each body sculpting treatment lasts 40 minutes (20 on the front and 20 on the back). This weight loss treatment involves no pain, heat or any other discomfort, and no recovery time needed. Clinical trials resulted in an average total loss of about six inches. "I wanted to get rid of my baby weight. Had a lot of questions on Zerona. Will it work? Is it worth it? Anyways, I took treatment in the abdomen area. The procedure is very simple with laser light shining on you. Was very skeptical after my first session but looking at my pictures now, am glad I choose Zerona laser." "I did a lot of homework before I decided to go with Zerona laser. Very simple treatment. I took 6 sessions first and then went for another 6 sessions. Totally in awe with the results. It really works!!!" "I have tried from diet to exercise to reduce weight with no luck. Then I tried Zerona. I am totally happy with the results. It is affordable and convenient. It is essential to pick a right clinic to get your treatment. I am satisfied and happy that I chose Inner Health and Wellness Center in Tarzana." WHAT AREAS OF THE BODY CAN I USE ZERONA ON? The Zerona treatment can be used effectively on essentially every part of the body where localized fat deposits exist, that are resistant to diet and exercise. Most people start with treating the midsection (waist, stomach, hips area). Other areas include upper arms, bra-line fat, inner knees, back fat and buttocks, love handles, and breasts for men. Yes, it is safe. There is no risk involved in using the Zerona low-level laser therapy. And it is considered a safe alternative to invasive procedures such as tumescent liposuction, lipodissolve and other non-invasive devices like the Accent, VelaShape, and Thermage, which rely on heating the tissue and can cause discomfort. None of these have the proven data showing how fat cell size is reduced like the Zerona. 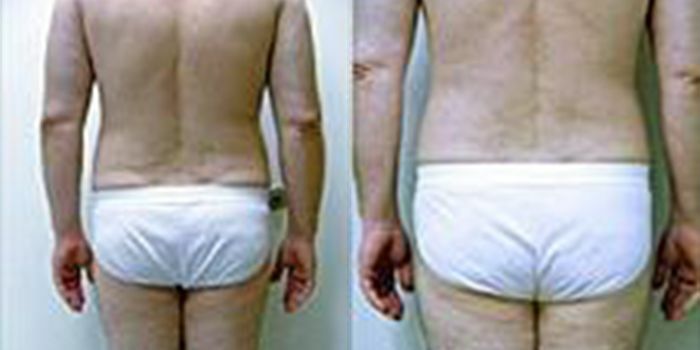 The Zerona Laser Liposuction treatment is 100% non-invasive and cause no bruising, scarring and zero downtime. During this body contouring treatment you will feel no discomfort at all and you can assume normal activities immediately following each treatment. There are no side effects beyond loss of fat and inches. Yes, with the Zerona laser treatment and by following the recommended guidelines for success, you can expect to experience a combined weight loss of 3 to 9 inches from your waist, hips and thighs, and a reduction in clothes size. By maintaining a healthy diet and exercises you can expect long term results. Zerona is especially ideal for two types of people: those that are already following a healthy diet and lifestyle and want to remove localized stubborn pockets of fat AND/OR those who want to use the Zerona and the recommended lifestyle protocol to "jump start" their slimming efforts as motivation for maintaining a healthier and slimmer lifestyle. 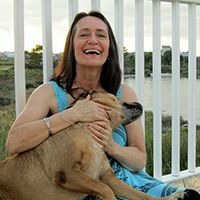 Highly-qualified chiropractor with over 25 years of experience. The Inner Health & Wellness Center. © 2019, Web Design and Online Marketing by Ontrix.